28th March 1915. John Bill, C Social 1895. Captain, 1st Bn, South Wales Borderers. 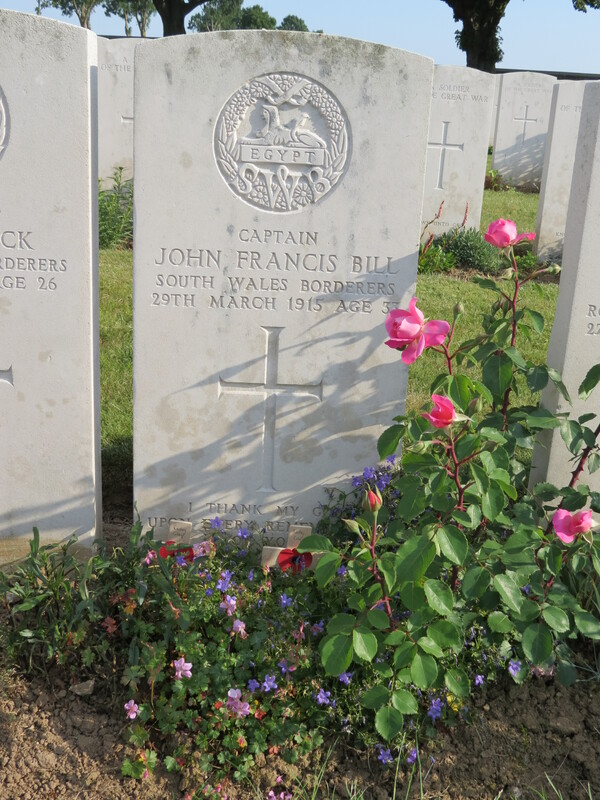 Died of wounds received near Neuve Eglise on 28th March. He was a career soldier who had served in the Second South African War in 1900, and subsequently with the West African Frontier Force. 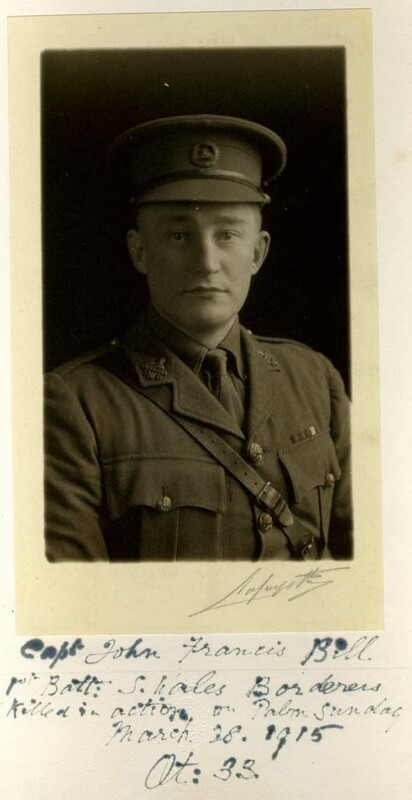 Posted in Commemorating the Fallen of WW1 and tagged 2nd South African War (Boer War), C Social, Captain, career serviceman, died of wounds, Flanders & France (Western Front), Marching in Memory for Combat Stress July 2015, Neuve Eglise, Sandhurst on 28 March, 2015 by archives602.